On March 5, the arbitrary deadline for Deferred Action for Childhood Arrivals (DACA) passed. Over the span of six months, a Republican-controlled Congress and the supposed “dealmaker” of our time could not find a compassionate way to provide citizenship for thousands of teachers, first-responders, veterans, entrepreneurs, neighbors, students, parents, friends, and individuals. And so the fight for a Dream Act continues. Everyday, blanket phrases like “bad hombres” and “not sending their best” bubble up in our national discourse. We must remember that real people are behind the “dreamer” name-sake. To this end, and throughout the six-month DACA chaos, I had the privilege of speaking with some amazing individuals: Joaida Tornes and Abraham Diaz, who happen to be DACA recipients. We discussed the risk of living in and traveling out of the Rio Grande Valley, as well as the challenge of filing for DACA and their hope for a more welcoming U.S. In these three parts, I capture a brief snapshot of their lives. On Feb. 6, White House Chief of Staff John Kelly implied that the reason there are nearly 1 million immigrant youth who didn’t sign up for DACA is that many of them were too lazy to sign up. Stories like that of Joaida Tornes, a student at St. Mary’s University on the pathway towards a degree in Mathematics (with P.h.D ambitions), show how grossly untrue and inaccurate this is. Joaida Tornes, at St.Mary’s. Photo provided by Joaida. Joaida came to the Valley without a “lawful status” at the age of two. In the years following her entry into the U.S., Joaida lived with the daily fear that she would be sent to a place she has never really known. “I don’t even speak much Spanish,” she mentioned in our conversation. Her life changed in 2015 when as a high-school student she received DACA status. However, obtaining DACA was no easy task. For some context, the filing fee for DACA petition is $495. In the case of Joaida and her sibling, who were raised by a single mother who supported her family through small cleaning jobs, it made the financial situation that much more challenging. “The question became,” Joaida explained, “whether or not we were going to make the rent or save up for me and my sibling’s DACA.” Fortunately, after receiving her work-permit, things became a bit easier and once she was able to, Joaida started working at the local mall to both save up for college and the next DACA renewal fee. The story is similar for Abraham Diaz, who works for a local non-profit and is the graduate of the University of Texas Rio Grande Valley. As a high-school student, Abraham helped his family pay bills by packing onions in San Juan. Abraham vividly recalls the difficulty of that time. “Life was hard,” he stated. “I would get up for cross-country practice, go to school, then back to practice, and then work until midnight or 1 AM”. 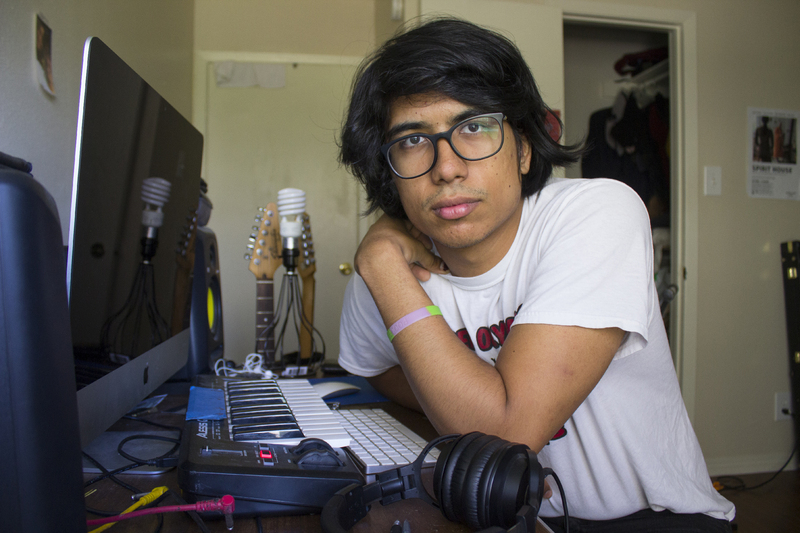 Abraham didn’t receive DACA status until after his first semester at UTRGV, meaning that many simple tasks like driving to class, for example, posed an extraordinary hazard for him. For his first semester of college, Abraham remembers “taking two buses for a two-hour commute in the mornings, and a similar commute in the evenings to get to Edinburg.” By car, Abraham’s commute would have been about 20 minutes. I try to imagine stories like these: weighing rent versus immigration status, commuting hours to study. Unfortunately, these stories are not uncommon. Mr.Kelly is deeply out of touch with this community. Ironically, problems loom over Joaida’s love for problem-solving. In order to get back and forth from school in San Antonio and home in the Valley, she needs to pass through the Falfurrias checkpoint on U.S. Highway 281. If an undocumented immigrant has made it to the Valley, to some extent, this could be the end of the line for them in the U.S. Making it further north, can be a matter of life and death. Take, for example, the case of a young girl who was detained after seeking treatment in Corpus Christi for cerebral palsy. For Joaida, checkpoints mean that life is exceptionally chaotic. If Congress does not act on passing a Dream Act, she will have to decide between an education in San Antonio or being able to see her family again. Because of the immigration checkpoint, if she travels home and DACA is rescinded, she will not be able to travel back to San Antonio. The ifs go on, all with their own set of attached dire circumstances and complications. “With the way things are going,” Abraham continued, “I won’t travel out of the Valley unless I absolutely need to”. Towards the tail-end of our interview, I asked Abraham why he chooses to work in the Valley. Why not Austin, or D.C.? In closing my conversation with Joaida, I asked her what would happen if Congress doesn’t pass a Dream Act. To date, it is unclear what will happen with DACA. Congress cannot or will not figure it out. The President likely has little idea what is going on. The Supreme Court, though delayed for at least a year, has recently tilted towards a conservative bench. What is clear, however, is that the Valley immigrant community is resilient. From the people like Abraham, taking four-hour bus rides daily to get an education, to those like Joaida aiming for a Ph.D., to the thousands of unnamed people just trying to live decent lives despite the hate and hostility that surrounds them. Stories like Joaida and Abraham’s continue to motivate and inspire me to find the ways to help and support immigrants. I encourage you to do the same. Call Congress, donate to organizations that support DACA recipients and the broader immigrant community, but also tell these stories. Fight the narratives that seem intent on erasing their humanity. Robert Lopez is fellow at Texas Civil Rights Project and a contributor at Neta. Robert Lopez is a fellow at Texas Civil Rights Project and contributor at Neta.